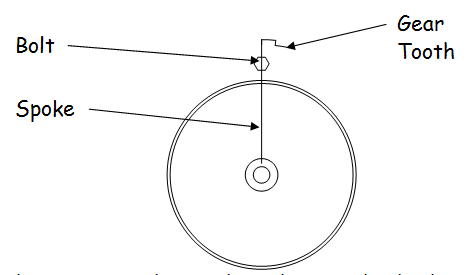 Activity 7 - Using "Polar Array"
Moving things around a circle. Create a Gear using "Polar Array"
Follow the instructions with the pictures. Select the pieces to copy. 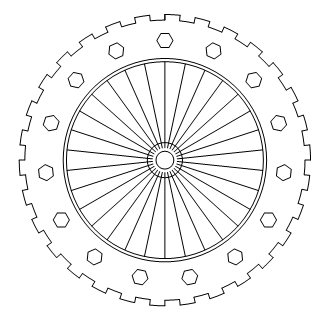 Copy the gear teeth and spoke 30 times around the circle. Use Trim to clean up the drawing. We want to turn them all on, so click on the "Object Snap Tracking" button. Image C: Expand the Modify window. 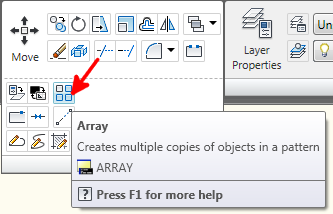 Image D: Click the Array button. 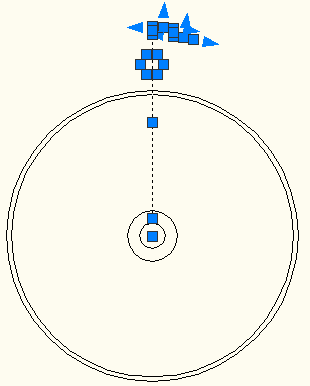 Image E: Click for Polar Array. 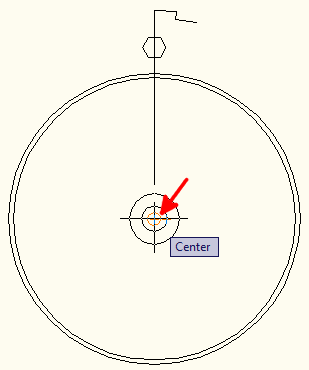 Then, click the "Center point" button (#2) and make it look like Image F. Then come back and do #3. 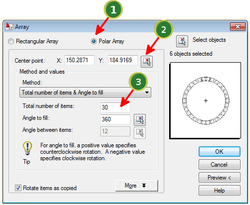 Image F: Showing the center click for #2 of Polar Array. 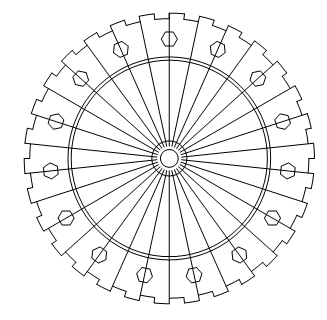 Save this drawing as "Activity-7.dwg".